Philippines. 2013. 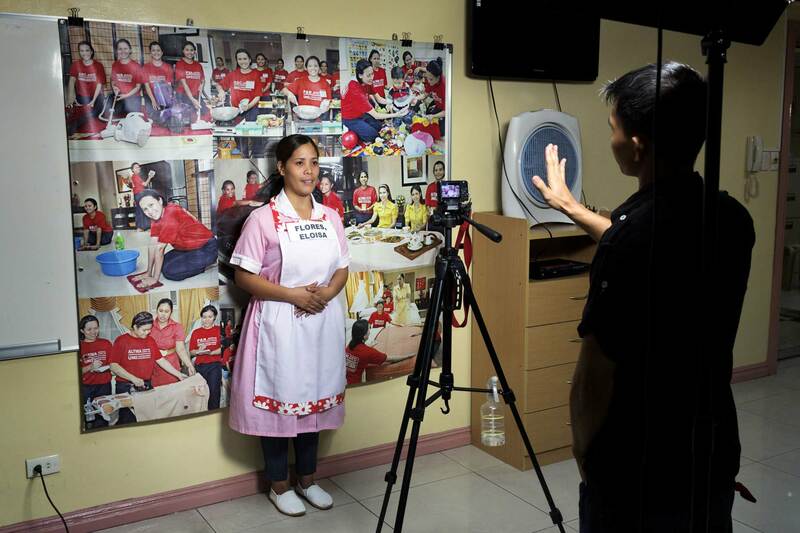 Manila At a recruitment agency, women pitch their housemaid skills to potential future foreign employers in the Gulf. In a 3-week course, they learn skils like bedmaking, table setting, cleaning, shoe polishing and babycare.